CORNWALL have set up a winner-takes-all clash with Hertfordshire at Redruth next weekend after beating Kent 22-16 on Saturday at Gravesend. The victory followed on from the Duchy’s success at Gloucestershire the week before and leaves them within 80 minutes of reaching a third consecutive County Championship final at Twickenham. Launceston scrum-half Matt Shepherd was the star of the show for Cornwall, scoring all their points in Kent. He collected a try, a conversion and three penalties in the first half to put Graham Dawe’s side 16-3 up, before adding two more penalties after the interval. Alex Gallagher scored a penalty for Kent in the opening 40 minutes. He added two more after the break before Kent set up a nervous final couple of minutes for Cornwall with a converted drive try by Read. However, the Duchy, captained by former Plymouth Albion skipper Kyle Marriott, held on to return home with the four points. But as Cornwall, who handed a first County Championship start to Saltash back Max Venables, dream of another trip to Twickenham, there was more disappointment for their neighbours Devon in Division Two. Devon, who reached six finals between 2000 and 2008, had looked like they might claim their first county win for five years when they stormed into a 12-0 lead against North Midlands at Brixham, but the visitors hit back and eventually won 34-24. The defeat means the Green and Whites can no longer win promotion back to the top flight. Devon, captained by Plymothian Dean Avery, made the perfect start with Ivybridge centre Lewis Paterson scoring under the posts after less than five minutes following a five-metre scrum. Joe Simmonds converted and it got better for the Green and Whites when full-back Olly Massey-Birch scored a great individual effort from 60 yards after a good turnover. Winger Dean Squire came agonisingly close to adding a third try for Devon down the left wing before the match turned when the visitors had lock Chris Goddard sin-binned. Rather than hamper North Midlands it seemed to wake them up. They missed a penalty before Devon found themselves a man down when Ben Turner was shown yellow. While the two teams were down to 14 men each, North Midlands scored two tries, courtesy of a close range effort from Robert Green and a stunning score from the back of a scrum on the halfway line from flanker Sam Montieri. That made it 12-10 at half-time. After the interval North Midlands, who had been hammered 60-17 the week before by Surrey, took control of the game with three quick tries courtesy of Nick Murphy, Joe Doyle and Alex Smith to take the score to 27-12. Devon gave themselves a lifeline in the 70th minute when young fly-half Simmonds, brother of Exeter and Albion flanker Sam, scored next to the posts and in the fifth minute of injury-time Jack Rouse powered over to put his side within three points. The referee decided there was still time to play, but Devon’s hopes of a last-gasp win were ended when Montieri scored his second try of the match with the last play of the game. 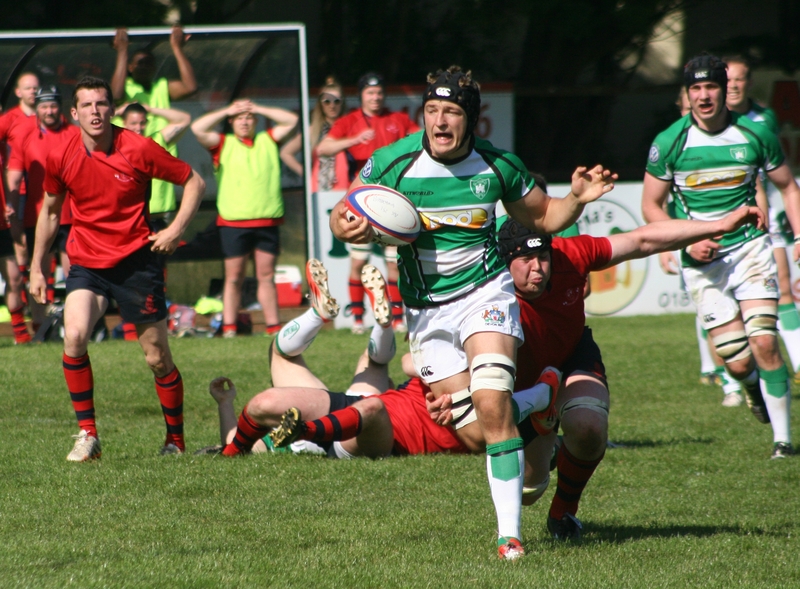 Devon will just have pride to play for next Saturday when they entertain unbeaten Surrey at Okehampton. Tags: Cornwall, Devon, Rugby. Bookmark the permalink.